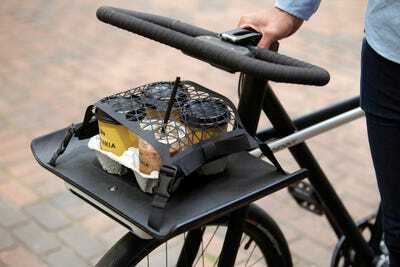 Via Sizemore BicycleThe front shelf can carry up to 50 pounds. 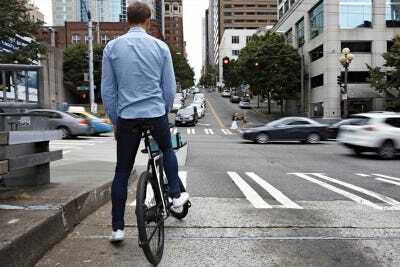 The unpredictability of a bike commute in densely packed cities is dangerous — a rider needs to navigate cars, buses, potholes, taxis, and distracted pedestrians. In fact, there are so many hassles and dangerous elements that many people avoid it altogether. But the nonprofit Oregon Manifest wants to change all that. They teamed up with Fuji Bikes and challenged five design teams from busy American cities to build the ultimate urban utility bike — something that would make commuting in a city not only safer, but more enjoyable, too. Via Sizemore BicycleThe automatic lights react to natural light conditions. 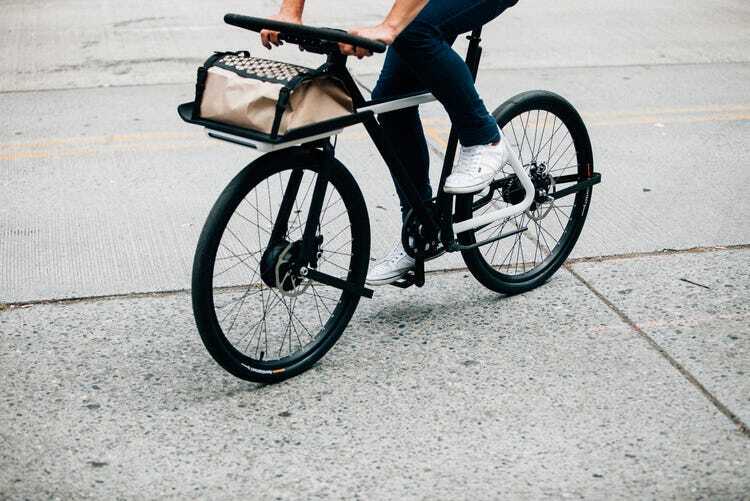 The Denny bike has a lot of clever features: an automatic shifter, an ingenious front basket, integrated lighting, turn signals, a built-in handlebar lock, and a fender that removes water before it can do damage. It even has an e-assist to give you a boost when you’re struggling up a hill so you don’t sweat through your work outfit. Teague wanted people to be able to grab their bike and know that no matter what their day had in store, they could use it without the need to add any accessories. 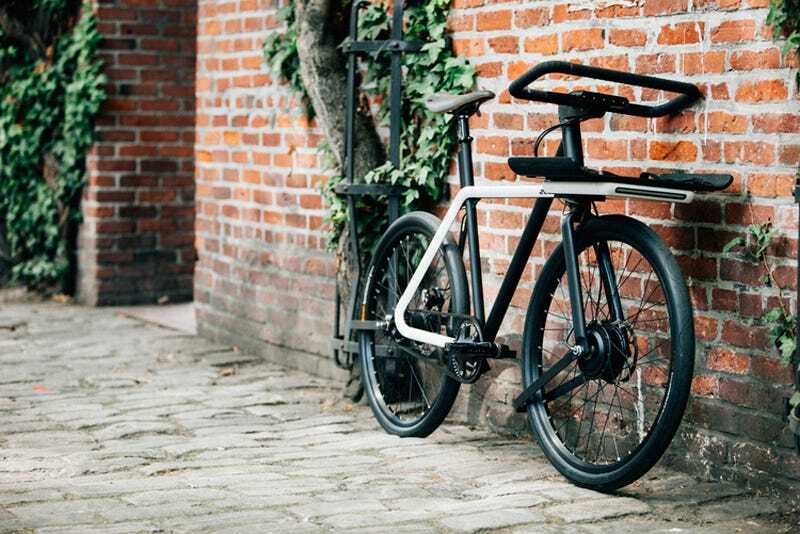 From baskets to a bike lock, the firm built everything into the body of the bike. There are three core tenants to this bike: safety, security, and convenience. The handlebar doubles as a lock so you never have to carry a heavy U-lock while biking again. “I think from a public standpoint the handlebar really resonated with people,” Jackson said. The public responded really well to the new integrated lock, which is an elegant solution that has never existed before, according to Jackson. The front basket isn’t even a basket at all — it’s a shelf that was built into the frame of the bike. It provides the ability to steer stably with hefty loads up to 50 pounds. The bike also has automatic shifting and an electric assist for biking up hills. The battery in the bike is also removable, so you never have to carry your bike inside to recharge it (a blessing for anyone who lives in a walk-up). Via Sizemore BicyclesThe storage shelf is part of the frame. Safety is often the biggest concern for anyone afraid of riding bikes around a big city, so the firm tried to emulate other vehicles on the road. 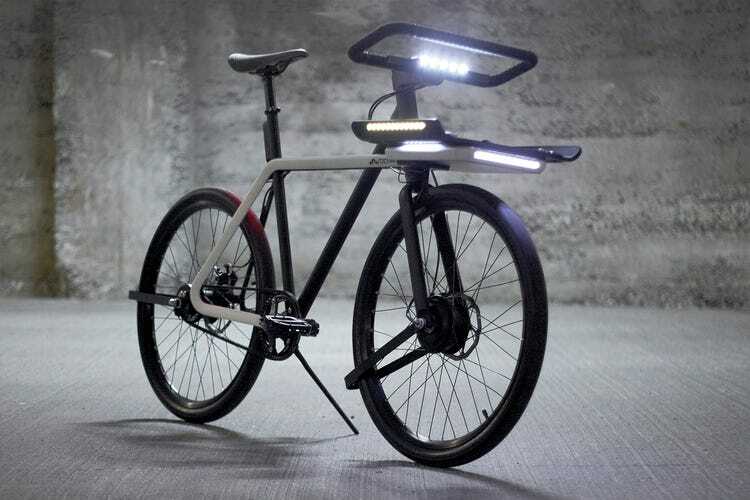 Teague understands that visibility is key when biking, so they also included a “Halo Light” that floods light onto the road around the front wheel when it’s dark. Aside from achieving the three core tenants, they also wanted to design a bike that looks good. They teamed up with a well-known local bicycle builder, Taylor Sizemore, to create the prototype. The Denny bike is about returning the rider to “those early days of carefree riding, when cycling was just about ‘get up and go’ freedom — the reason we all fell in love with bikes in the first place,” according to the Sizemore website. Jackson said that there are always slight changes when you move from a concept to a reality, but that the actual bike will be very similar to the Denny prototype. There will also be an option for a bike without the electric assist, for cities like New York that don’t have as many hills, which will also significantly lower the price. Via Sizemore BicycleThe Denny is all about a ‘get up and go’ freedom. The Denny is set to launch in 2015. For more information about the Denny as well as the other cities that participated, check out the Oregon Manifest website here.